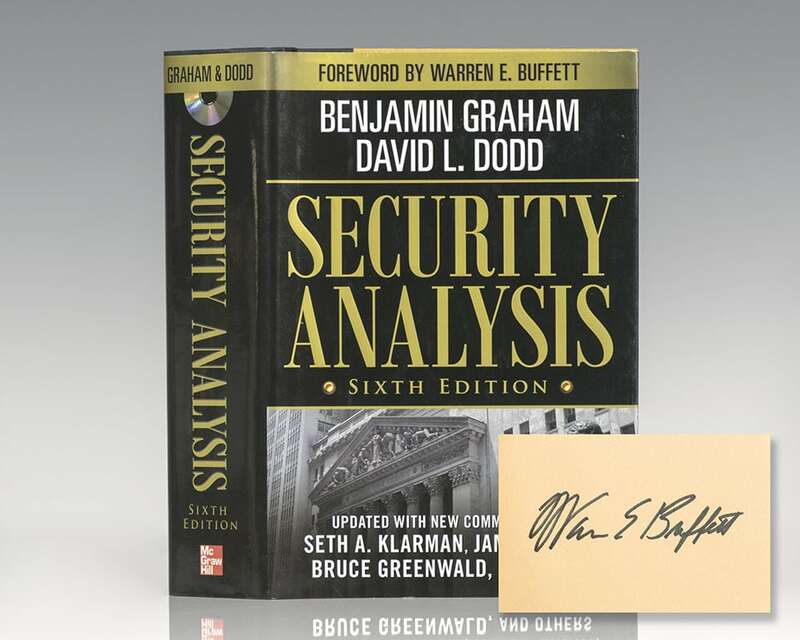 Graham, Benjamin; David L. Dodd; Foreword by Warren E. Buffett; Seth Klarman, James Grant and Bruce Greenwald. New York: McGraw-Hill Company, 2009. First printing of the sixth edition of the investors bible, with a foreword by Warren Buffett and commentary by Seth Klarman, James Grant and Bruce Greenwald. Octavo, original half cloth. Boldly signed by Warren Buffett on the front free endpaper. Fine in a fine dust jacket. 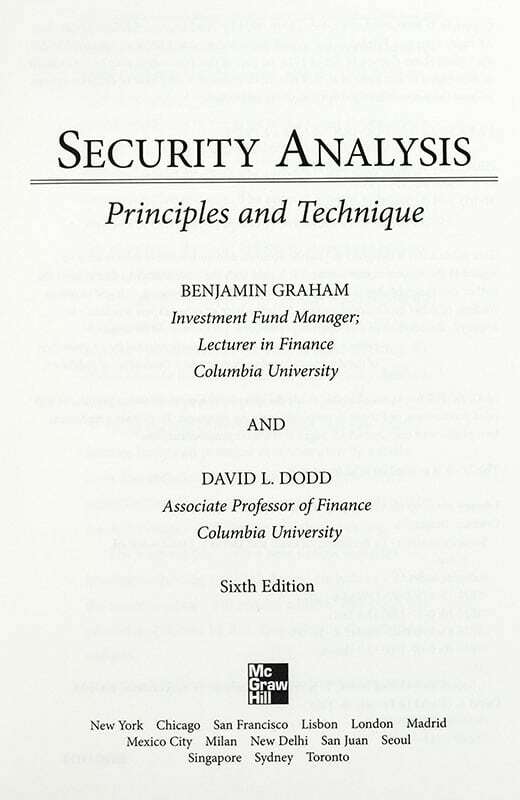 Security Analysis is one of the most influential book on investing ever written.